Two cool new things from Method - the first is a special edition scent, Mandarin Mango. I love mango! I can't wait to try it. It's only for a limited time, so I want to be sure not to miss it. Second - Method has a very cool deal at Target. 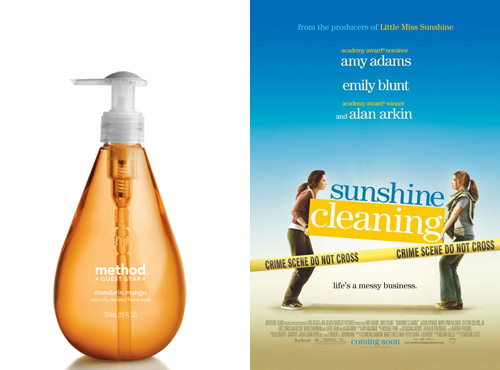 When you buy the movie Sunshine Cleaning on DVD or Blue-ray you will get a coupon booklet worth $10 off Method products! I saw Sunshine Cleaning in the theatre and loved it so this is a win-win! Target + Sunshine Cleaning + Method products = WHEE!! !